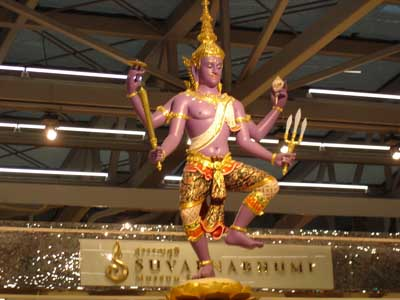 After you have cleared customs you will be met by your guide and transferred to the Rembrant Hotel in Bangkok where you will be spending the first three nights of your amazing Far East holiday experience. 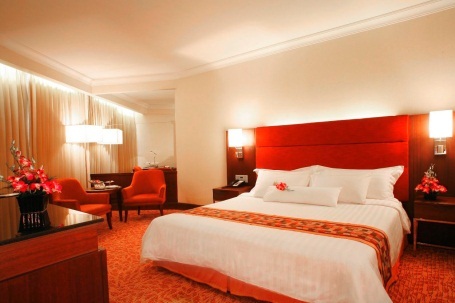 Rembrandt Hotel Bangkok is conveniently located in the new, trendy Sukhumvit area of Bangkok. The hotel is within walking distance of Asoke (BTS) as well as Sukhumvit (MRT) public transport stations offering guests access to all major shopping, entertainment and nightlife areas of Bangkok. At the Rembrandt, they pride themselves on their high levels of service, great food, diversity, offering great value for money and giving guests the home away from home feeling. Rembrandt Hotel and Towers' Superior Rooms offer inviting, comfortable, elegantly decorated accommodation to business and leisure travellers who know the importance of value. Our newly renovated Superior Rooms on the lower floors provide each of our guests with all the exquisite services and amenities of the Rembrandt Hotel at an excellent rate. All Superior Rooms are spacious 30 square meters with bath room. The in room amenities include complimentary high-speed wireless Internet access, LCD screen TV, pay per movie, in-house phone, mini bar and Rembrandt signature toiletries such as shampoo, conditioner, body soap. etc. The large bathrooms are all equipped with a bath tub, some with separate shower cubicle, dressing mirror, a hair dryer, hand basin and telephone. The Rembrandt Hotel has a great variety of award winning restaurants that will satisfy all palettes. Señor Pico - Great Mexican food with a festive atmosphere located on Soi 20 - Live Music from the famous Cuban Band, "Fascination," and the best atmosphere in town. Great for Birthday parties, casual dinners, or just a plain good time. da Vinci - Wonderful Italian dishes made with the freshest ingredients - Renowned for fine traditional cuisine and an excellent wine selection. Pool Bar - Drinks and snacks at the pool - From early morning coffee or light snacks and sandwiches as you soak in the warm Bangkok sun. Unwinding at the Rembrandt - Spend some time in the fully-equipped, air-conditioned fitness centre. They provide quality equipment and an experienced associate is always there to assist you. After a brisk workout go for a refreshing swim in the beautiful pool, the water is always just cool enough, even in the heat of the day or on a hot night. To really unwind and relax the Spa at Rembrandt is the place for you. A night-cap before turning in for the evening - The lobby bar is a great place to relax and enjoy a cocktail. The selection of drinks is second to none - from a bottle of beer to a single-malt scotch. Pair a refreshing drink with the jazz pianist and you have the end to a perfect day. You will be collected from the Rembrandt Hotel Bangkok and transferred to Bangkok Suvarnabhumi Airport. The pick-up time will be confirmed to you during your stay. Private Vehicle and Guide. Shared Transfer from Phuket Airport to Elephant Hills. Note: Elephant Hills is all about caring for the elephants, there is no riding on, or trekking with the Elephants. This is truly a once in a lifetime chance to experience the Asian Elephant, the largest land animal in this part of the world. 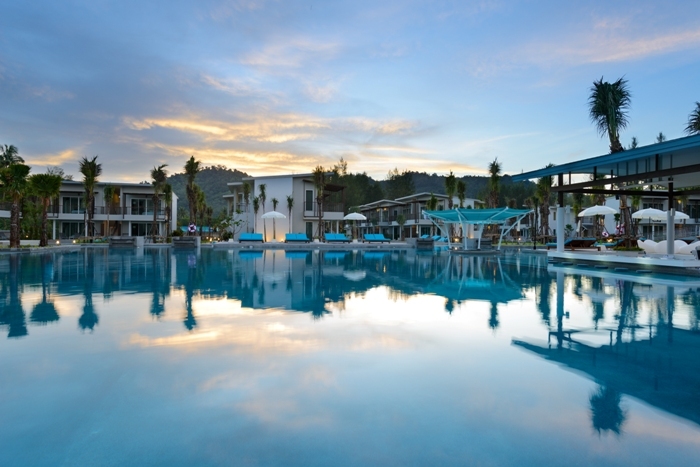 Late afternoon opt to relax by the pool, watch the Thai cooking demonstration, then dinner and overnight. 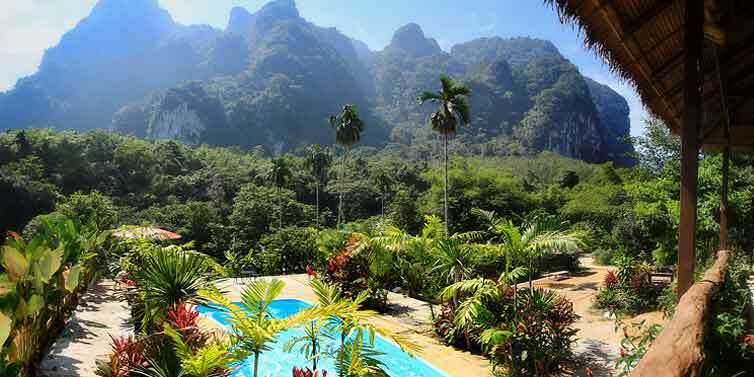 After breakfast Jungle Trekking, on foot, through Southern Thailand’s unique Rainforest environment - Lunch at the Rainforest Camp and a chance to swim before your departure. 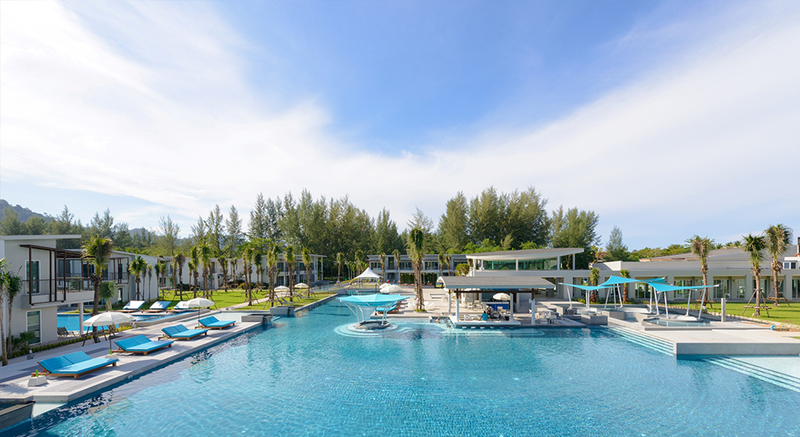 The Waters is an adult-friendly resort set in the heart of Bang Niang Village in Khao Lak, close to the beach. Amici Italian Bistro - Savour gourmet cuisine by award-winning Chef Davide Spighe of Italy. Amici offers the finest dining all day, with your choice of pleasing ambience in an indoor or an outdoor setting. The hotel offers a variety of activities to revive your body and soul. Bubble Bar - Sip your cocktail right from the swim-up pool bar and enjoy the spectacular underwater lighting at night time. Spa - Choose from a variety of relaxing treatments in the indoor room or enjoy massage in the water with a creative foam spa experience.